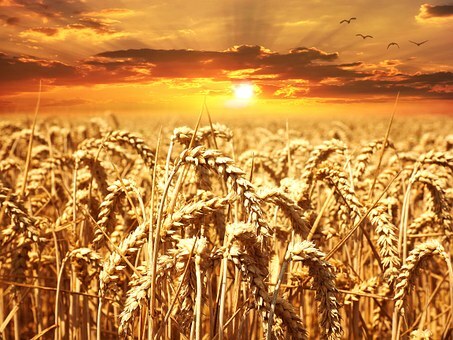 Key Verse: Verse 25 – "But while men slept, his enemy came and sowed tares among the wheat, and went his way "
We are told that the consumption of wheat is necessary for a healthy metabolism. We are also told that wheat helps prevent breast cancer, gallstones, high cholesterol, asthma, and heart risk; and it is an essential food for women to help in the area of gastro-intestinal disorders. It is believed to help reduce the risk of high blood pressure and diabetes. It is rich in Vitamin B6, niacin, thiamine, folate, riboflavin, and pantothenic acid. It also contains Vitamins E and K.
It is obvious from reading our text that wheat is symbolic of those who are genuinely born again; and the tares symbolize those who are pretenders. They profess to be saved but have no possession of Jesus Christ. Now this raises a question, have you ever asked Jesus to be your Savior? During the Spanish-American War, Clara Barton was overseeing the work of the Red Cross in Cuba. One day, Colonel Theodore Roosevelt came to her and wanted to buy food for his sick and wounded Rough Riders. Clara refused to sell him any. Roosevelt was perplexed. His men needed the help, and he was prepared to pay out of his own funds. When he asked those around why he could not buy the supplies, he was told, “Colonel, just ask for them.” A smile broke over Roosevelt’s face—now he understood! The supplies were not for sale. All he had to do was simply ask, and they would be freely given. Have you ever asked for Jesus to save you? He will, and it is a free gift as well. So the next time you see or taste of wheat, thank God for your salvation.